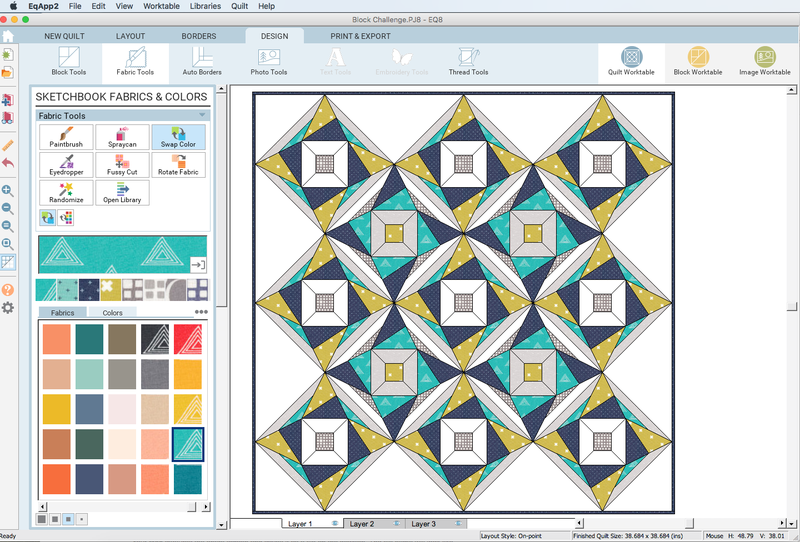 The block of the month for September on the Electric Quilt blog is Metalwork which is found in the Royal Crown section. It's always interesting to see the different designs people come up with using the same block as the base and I got to play around with a block that I had not come across before! I coloured the block in two different ways and set it on point. 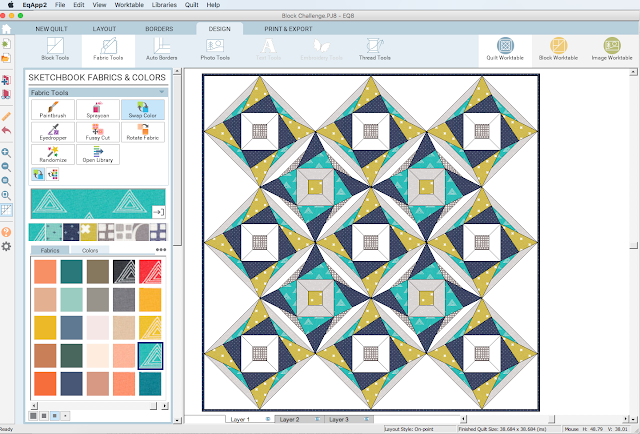 I love how easy it is to play around with colours and fabrics in Electric Quilt.